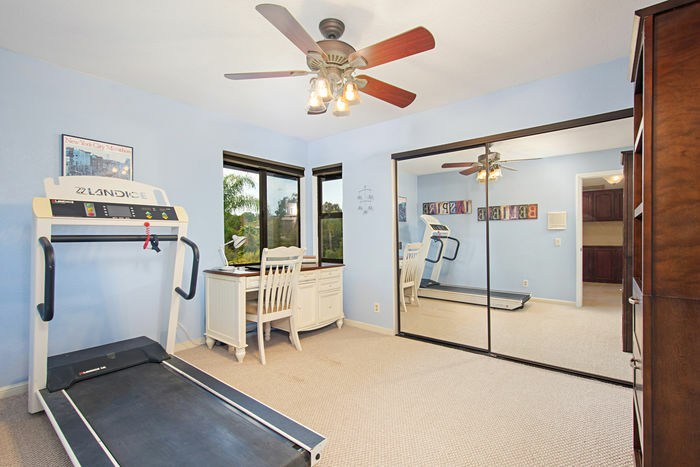 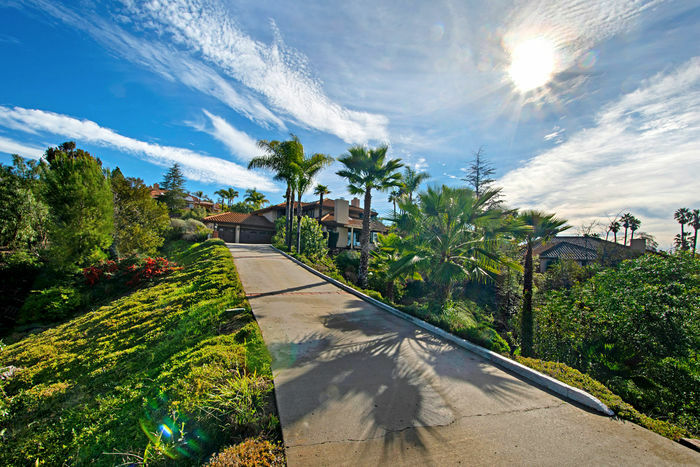 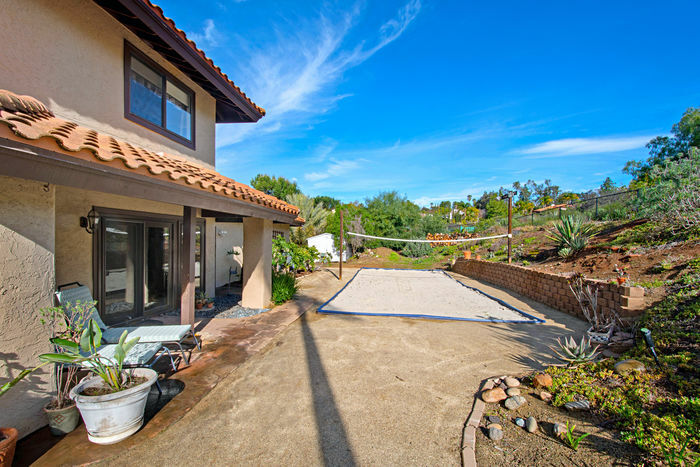 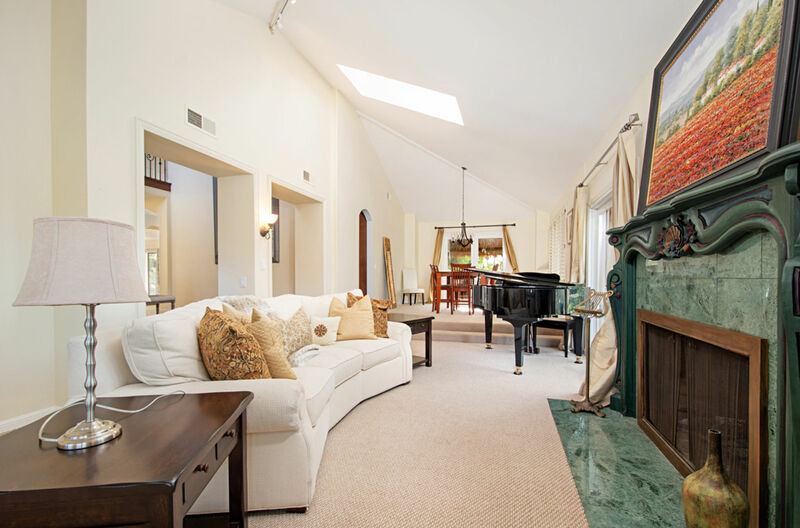 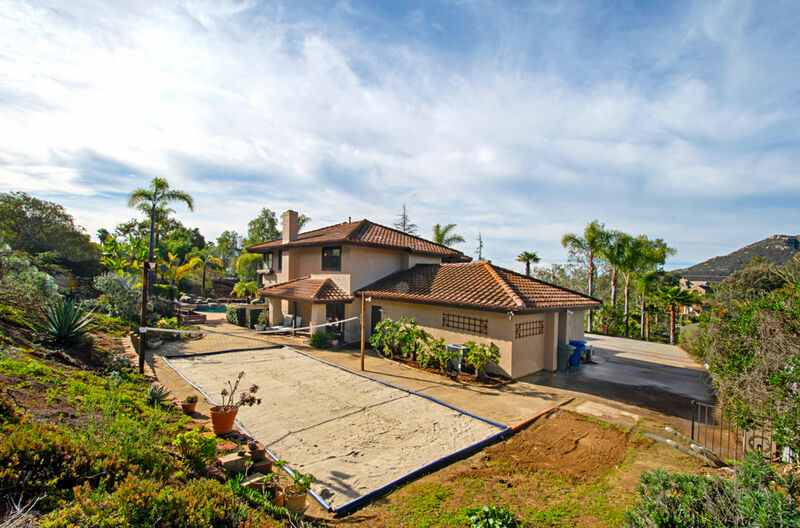 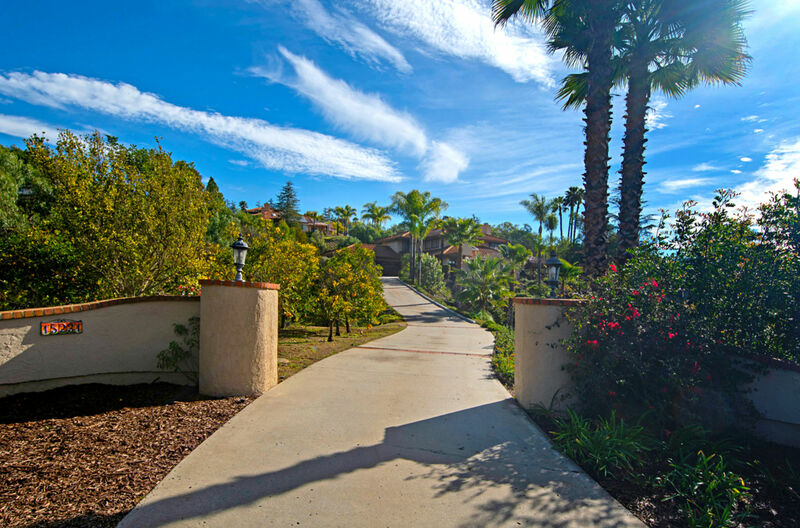 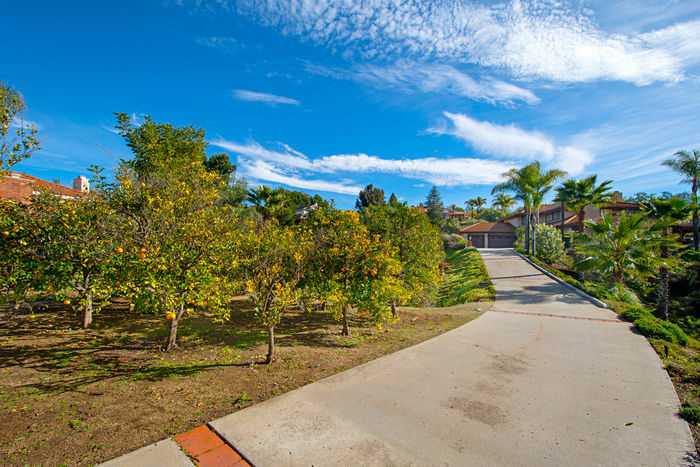 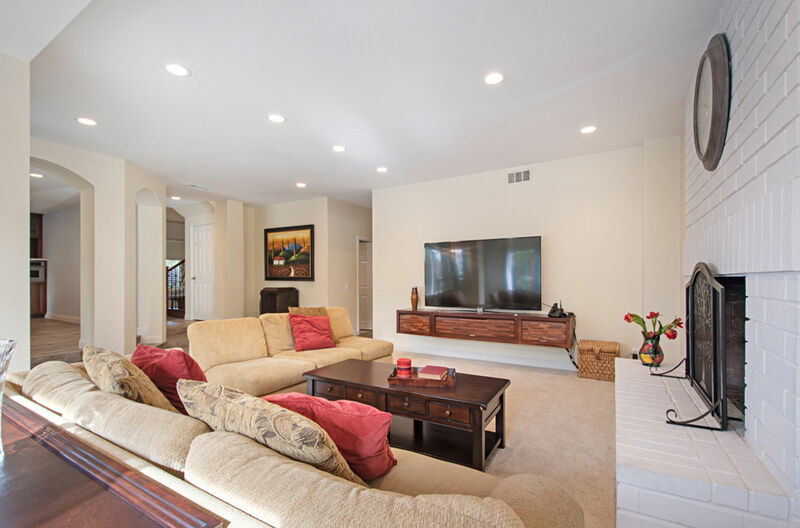 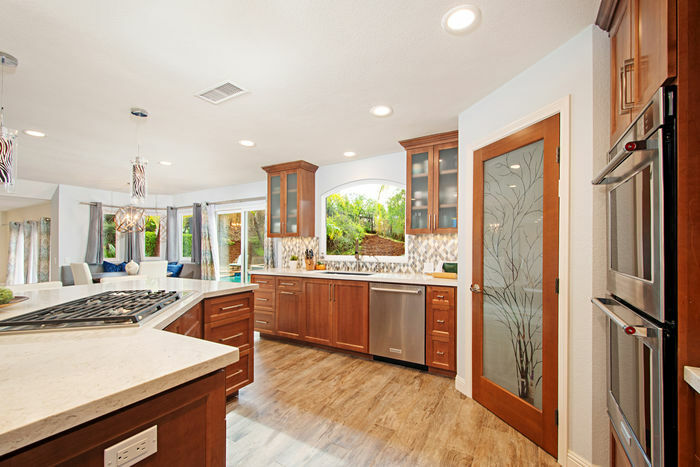 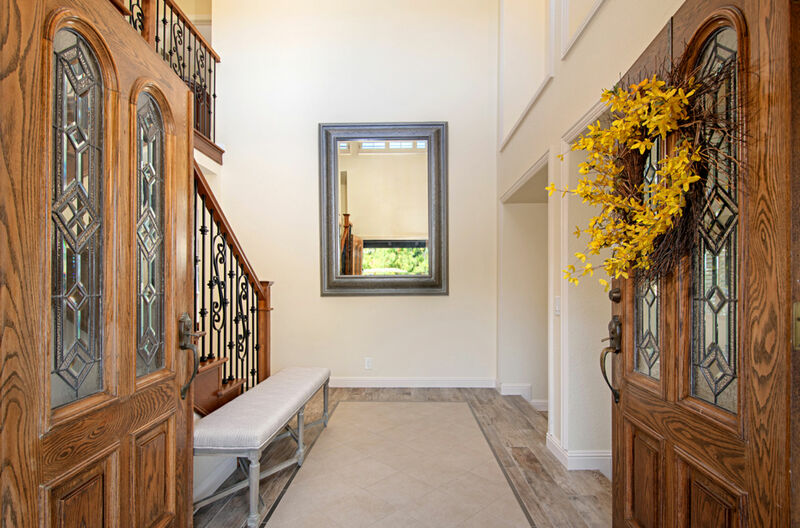 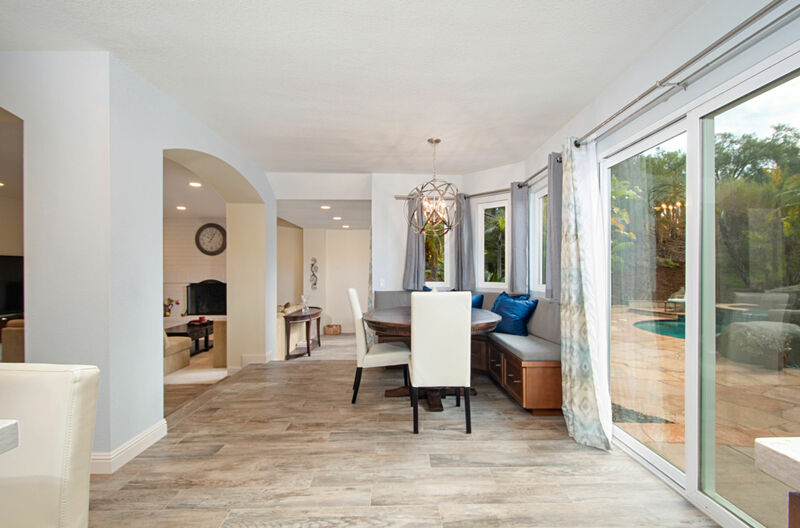 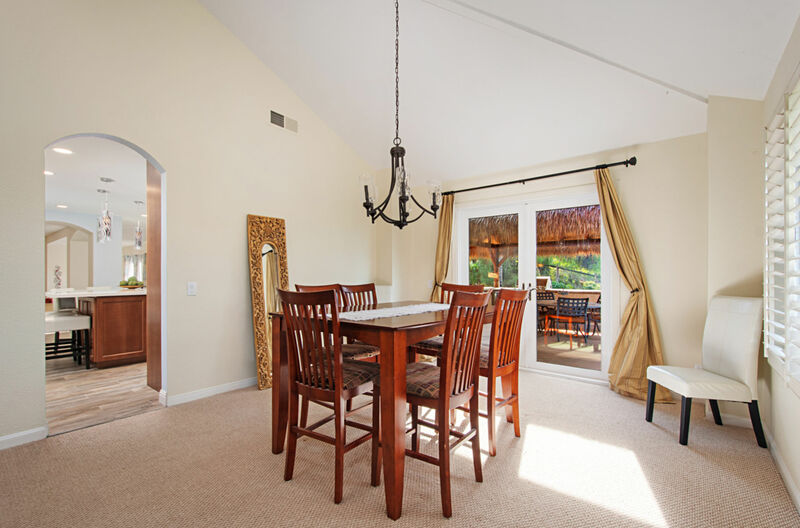 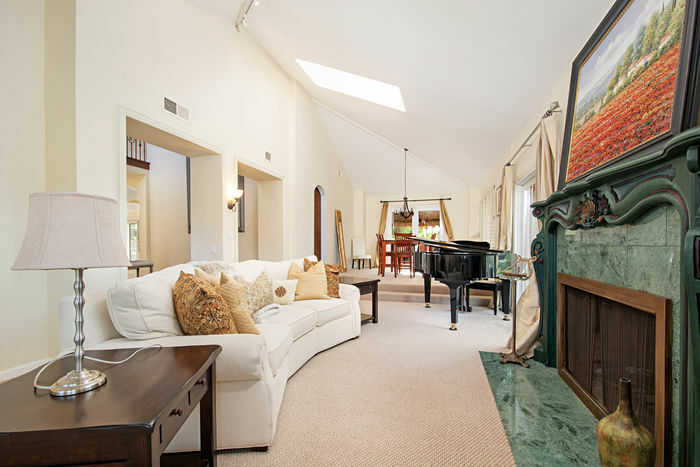 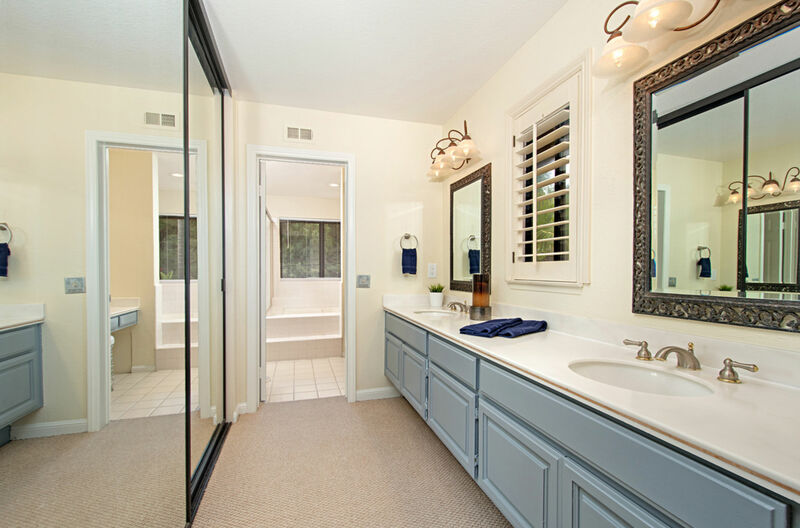 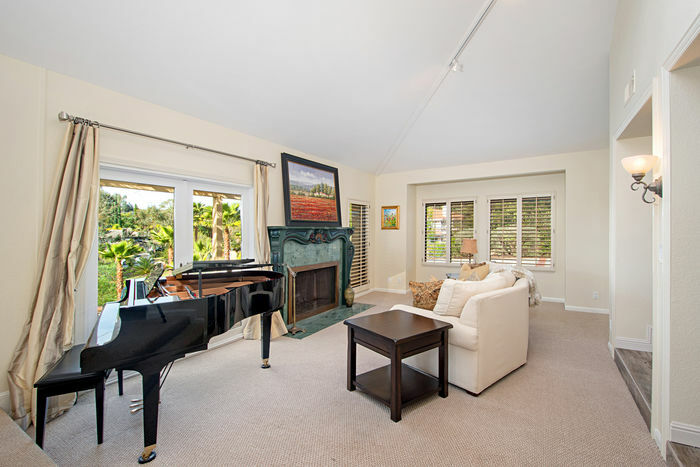 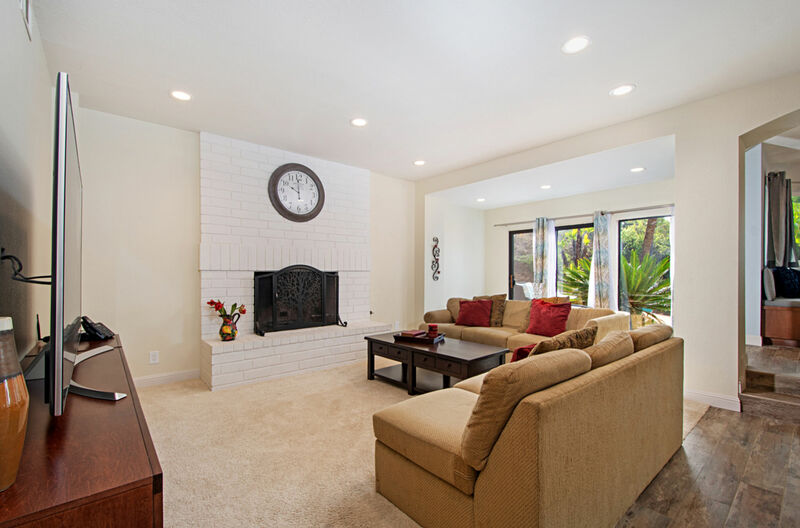 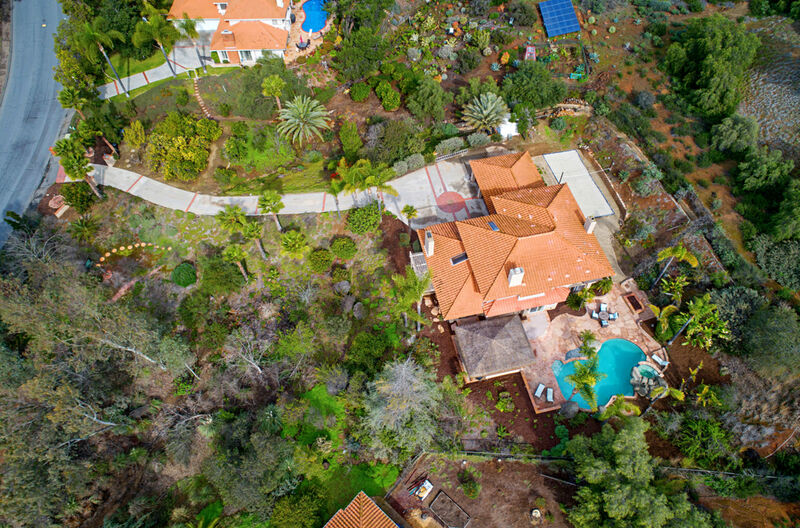 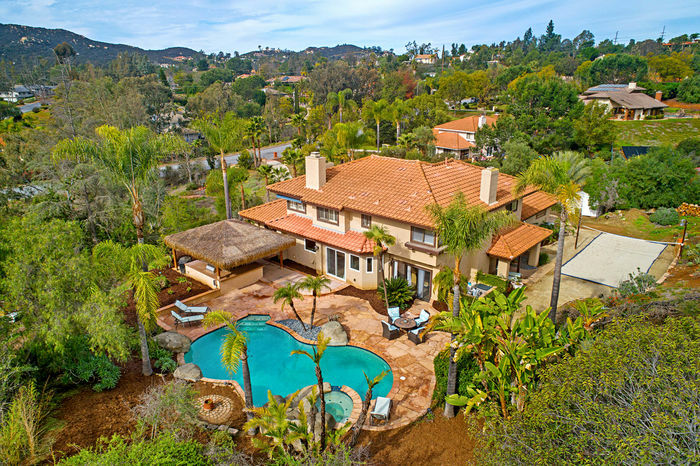 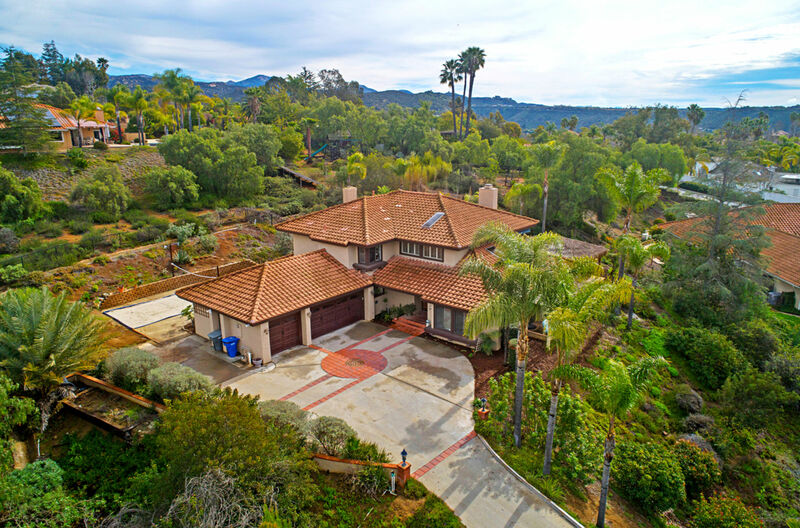 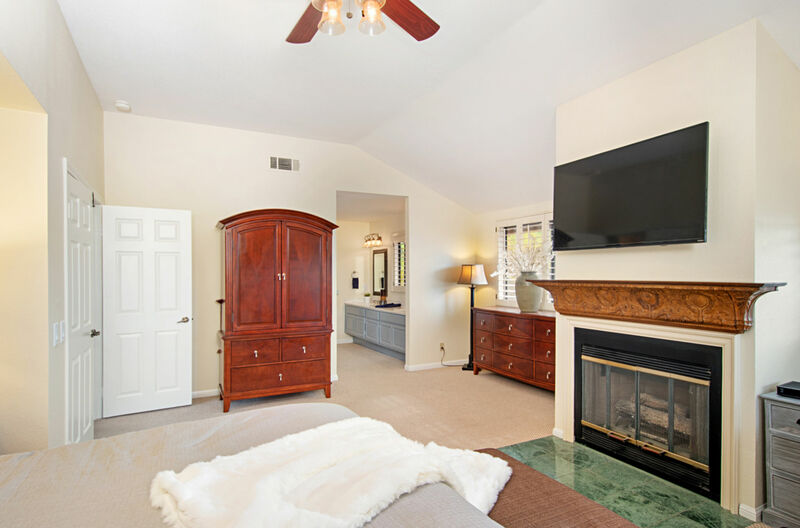 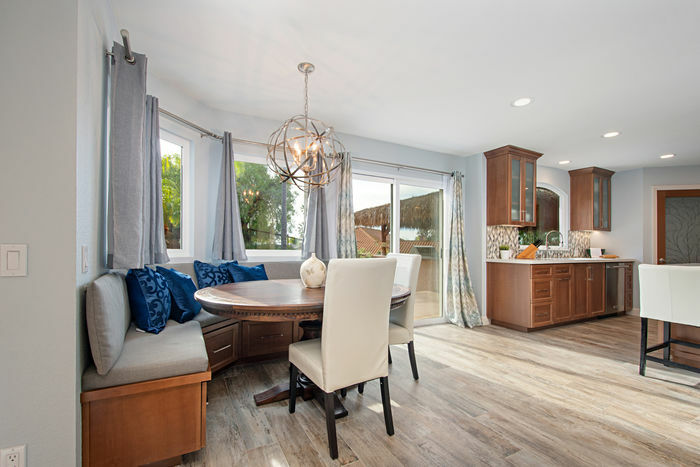 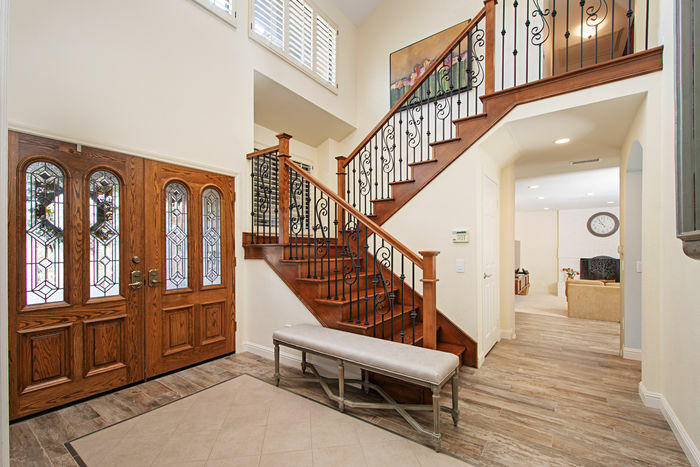 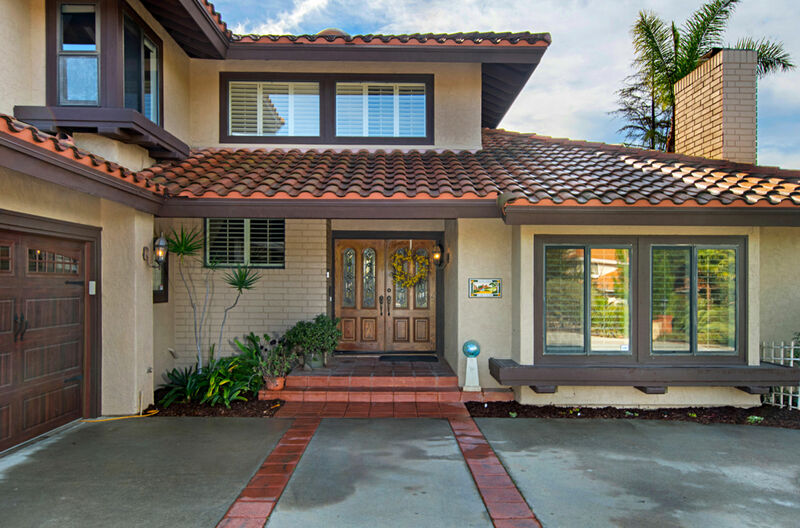 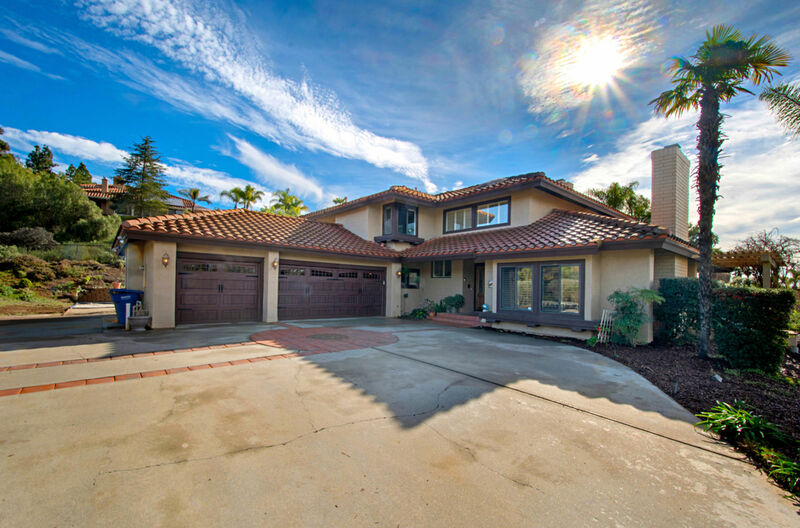 Fabulous Poway home with 5 bedrooms, 3 baths, 3470sf. Elevated private location offers westerly breezes & serene views. 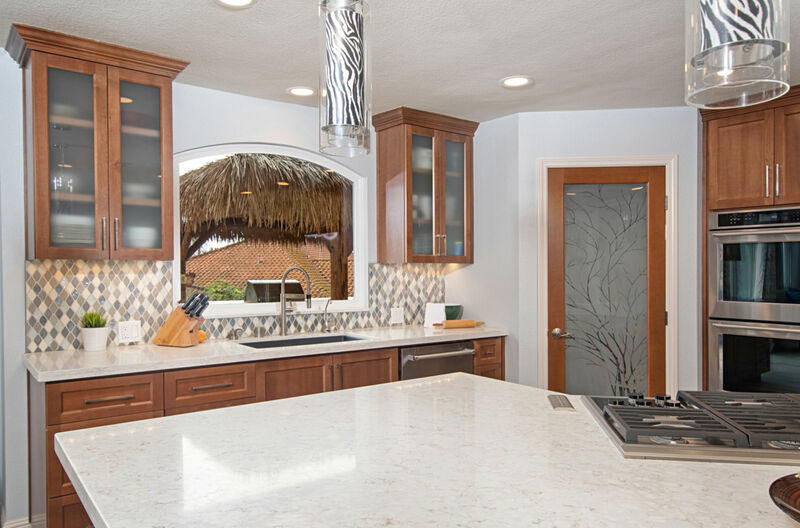 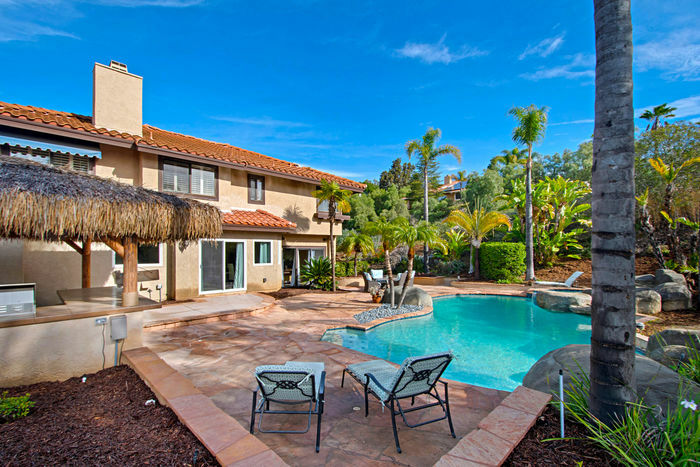 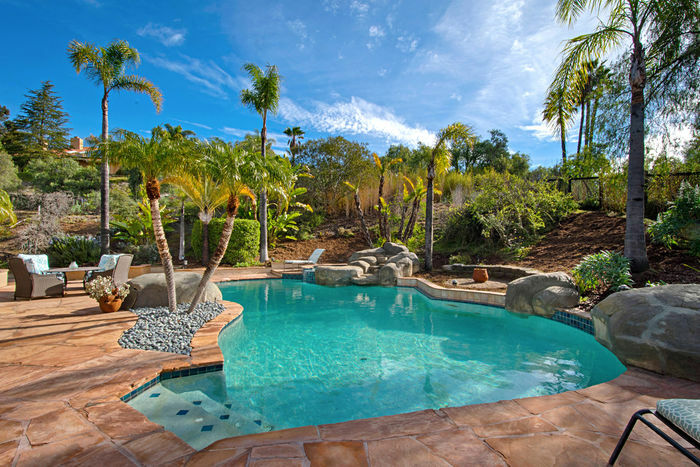 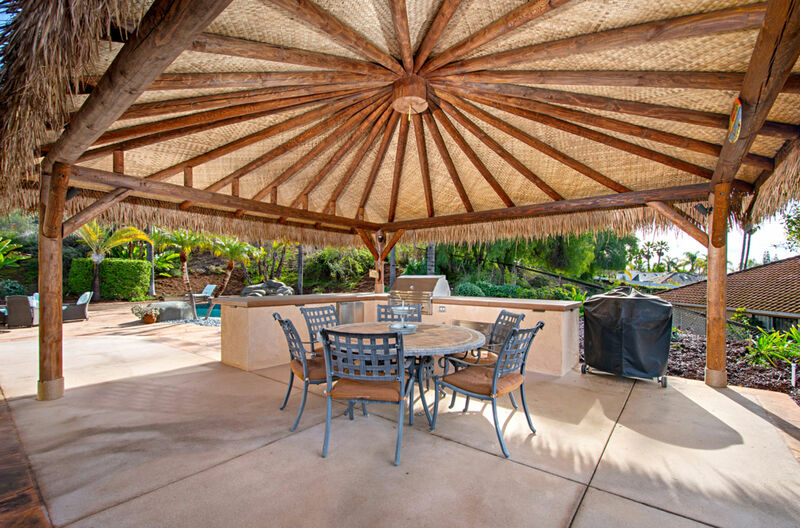 The backyard features pool, spa with waterfall, rock-scape, palm trees & a huge palapa for the outdoor kitchen is perfect for entertaining! 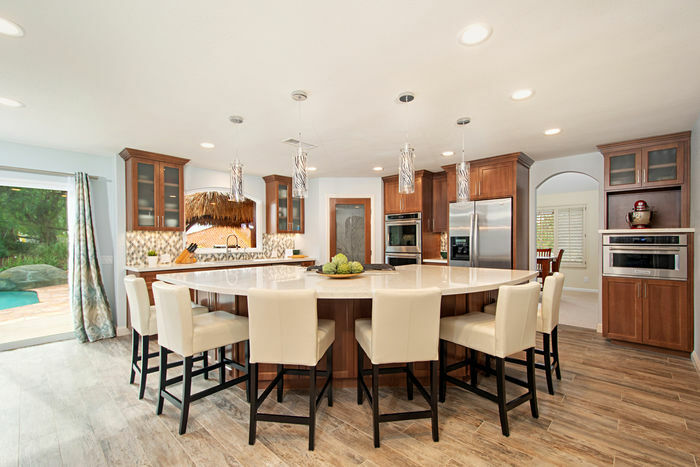 Newly remodeled kitchen has top of the line appliances & a fabulous center island which will be the centerpiece for gatherings. One bedroom/full bath downstairs. 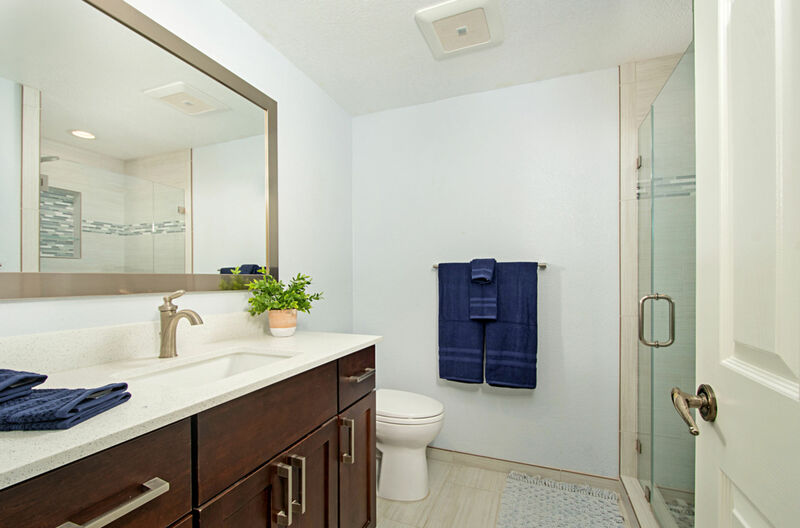 2 guest bathrooms recently remodeled. 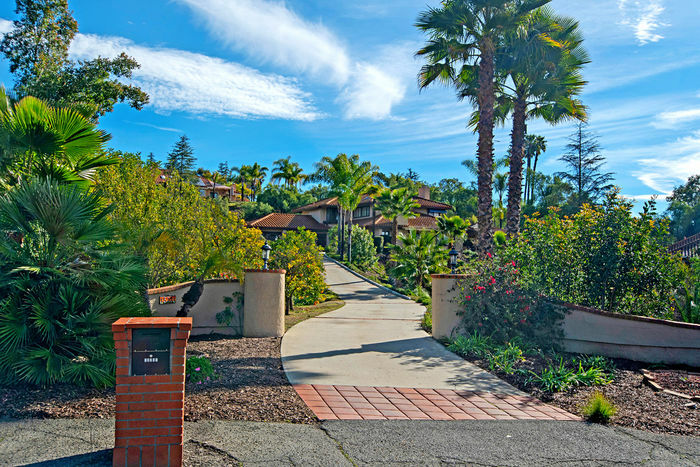 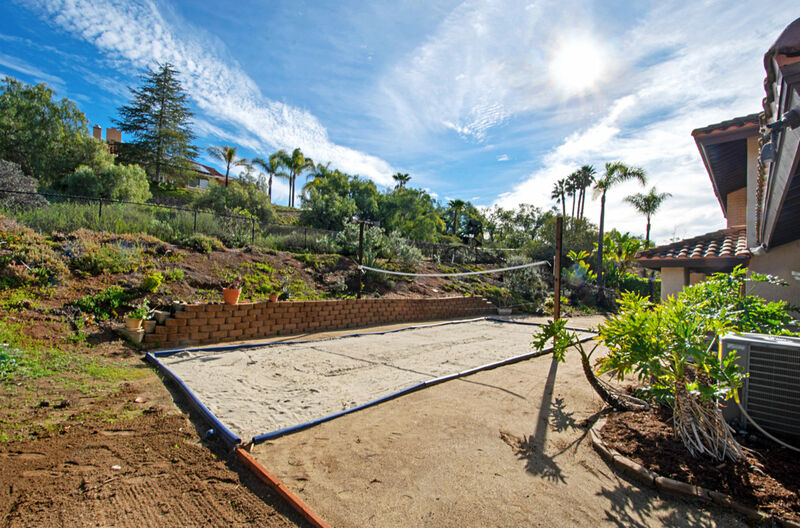 Additional features include; 1 acre property with citrus grove, small volleyball court, & optional RV parking. 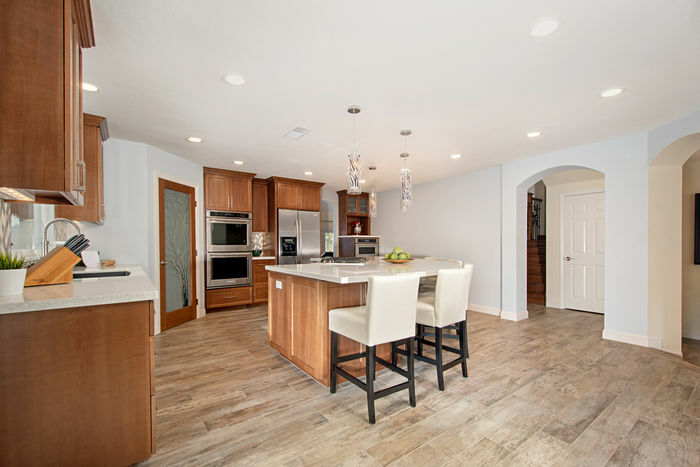 Walk-in pantry in kitchen, new wood-like tile floors in entry and kitchen. 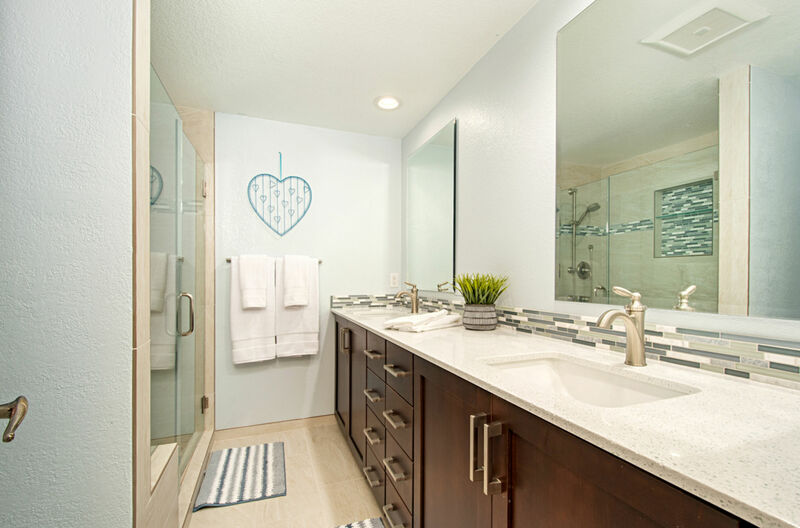 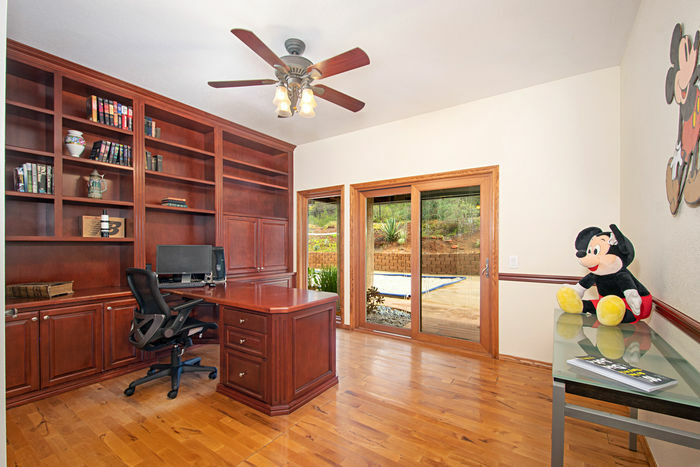 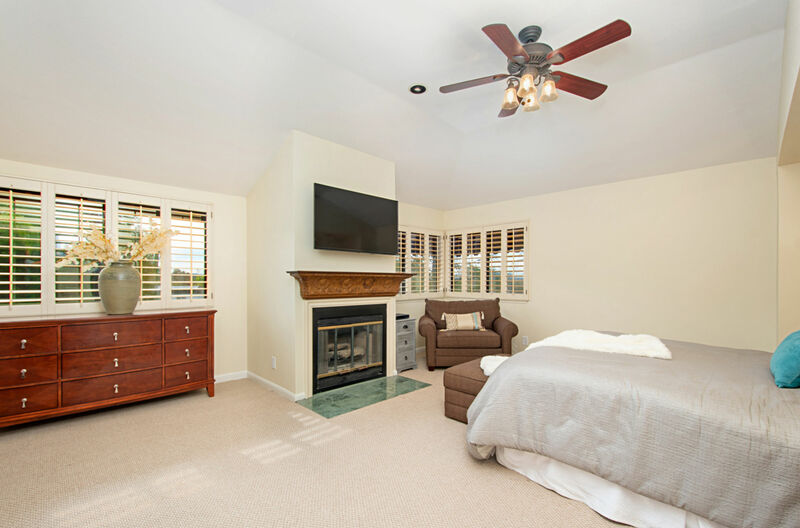 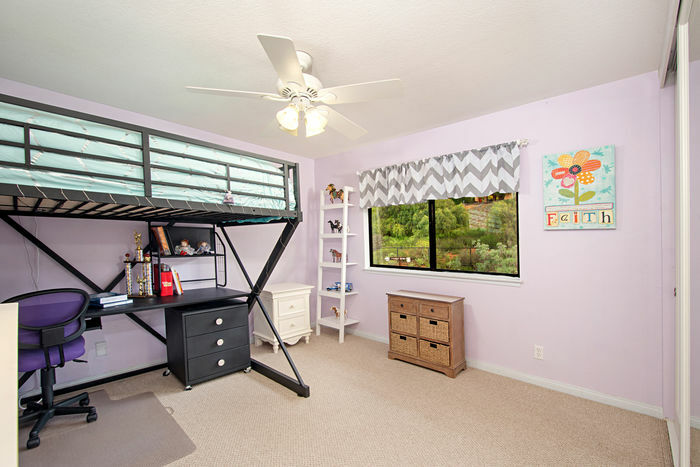 Downstairs bedroom has desk built-in, large closet, sliding glass doors to private patio. 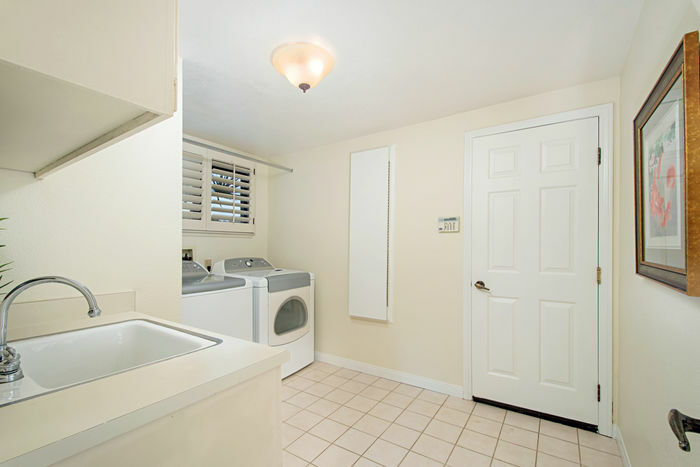 Large laundry room with utility sink and built-in ironing board. 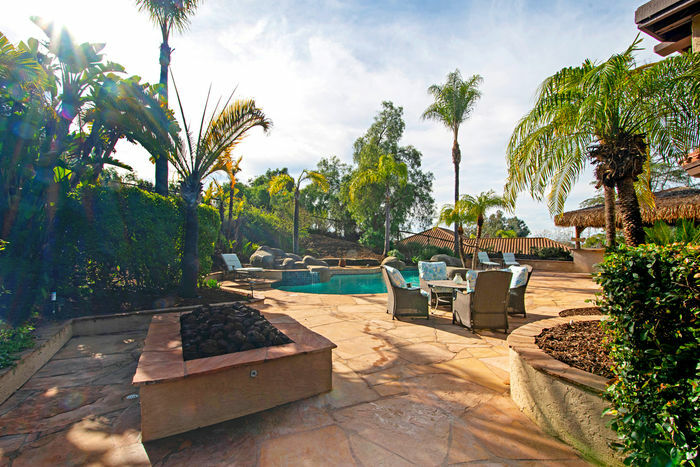 3 fireplaces in the home & large outdoor gas firepit. 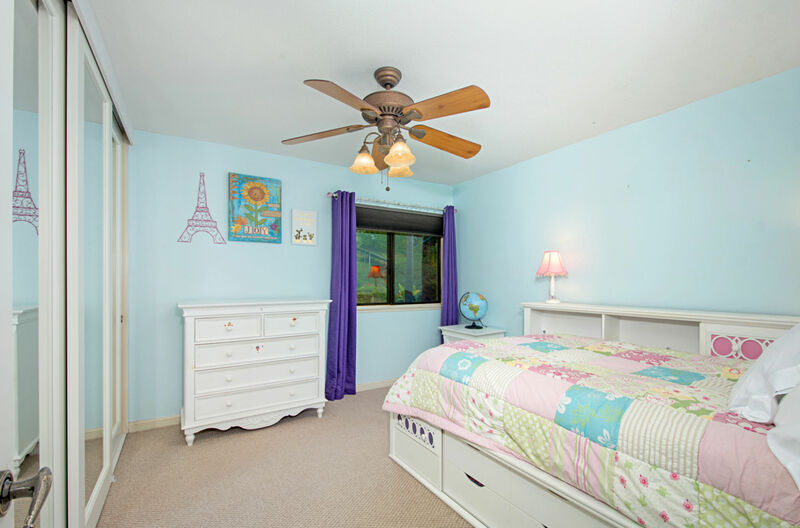 Wood shutters on most of the windows. No HOA or Mello-Roos fees. 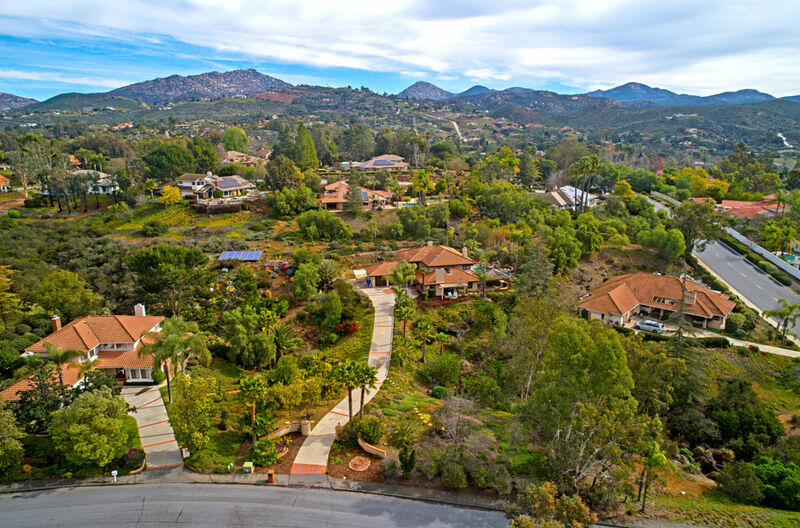 Poway Unified Schools.